The fashion world woke up today to some news that had us quivering in our Aquazurra espadrilles. 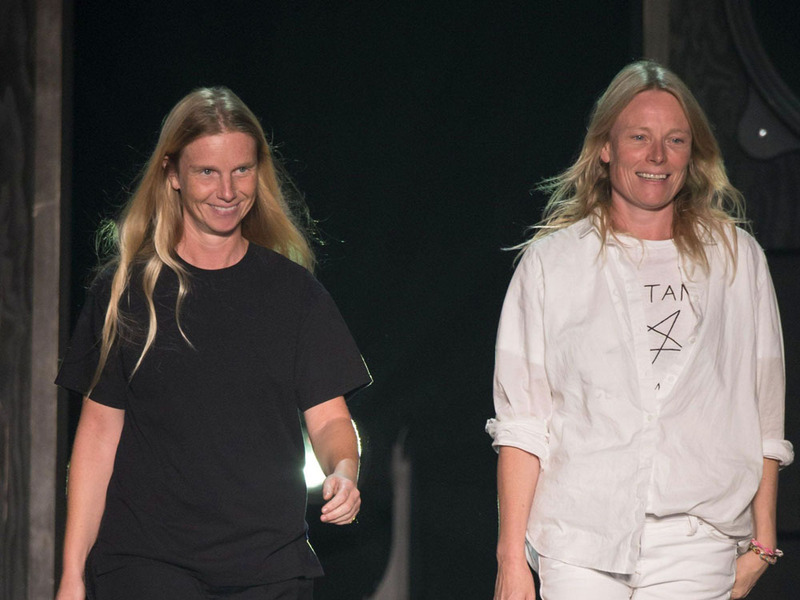 Everyone’s favourite Brit-girl designer duo, Luella Bartley and Katie Hillier, are launching their own label – called Hillier Bartley. Well, you definitely can’t accuse them of trying to get too clever with the name. The pair are fresh from a Manhattan moment at the helm of Marc Jacobs’ diffusion line, Marc by Marc Jacobs. Today’s announcement clears up the questions left by the recent news that Marc Jacobs had decided to incorporate MBMJ into his main line, leaving everyone wondering what was going to happen to the Katie ‘n’ Luella show. Although we can reveal that Katie will continue her long-standing relationship with Marc Jacobs on accessories for his main line, we now know what they’ve been cooking up for their next project as a duo. Back when Luella was running her own label, her shows were the toast of London Fashion Week. Her clothes – a style we’d term ‘preppy pony-club girl escaped to a rave’ – were loved by A-listers looking for quirky party dresses with a twist – hello, Alexa. Luella has worked with Katie for years, since bringing her on board to design bags for the Luella brand 15 years ago. Together they pretty much started ‘It-bag’ mania and Katie went on to design bags for everyone from Victoria Beckham to Loewe, as well as producing her own jewellery and accessories collection. So the news that the duo are returning to ready-to-wear with their own label is major news indeed. True to their East London roots and their expertise with traditional tailoring, the collection will have a ‘masculine elegance’ and draw on classic English references, with nods to Savile Row fabrics – cloth, velvet, silk, merino wool and shearling. It will be made in the UK, with material sourced mainly from British mills. The bags will be produced in Italy.